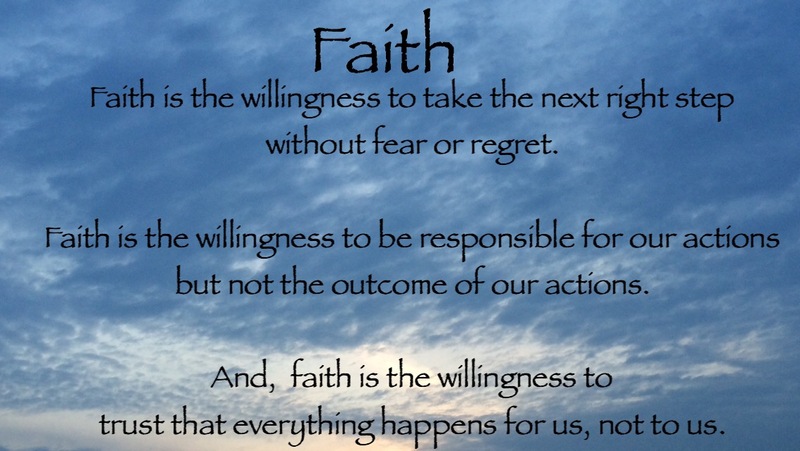 For some reason, this week I have been thinking a lot about faith and willingness. This is a definition that I came up with that I thought others might enjoy. The picture was taken by me at sunset, and I like the different shades of blue.